The Olympics is a global platform where a plethora of athletes compete in different games and represent their respective countries. It is an extremely proud moment for any athlete when he or she receives a medal on the grandest platform in the world. Although cricket is a massively followed sport, it is not played in the global festival that is the Olympics. But why not? Cricket was played for the first and the last time at the Olympics way back in 1900. Due to the lack of following for cricket in associate nations and also the reluctance from the cricket boards of different countries, the gentleman's game has not featured in any edition since. But the ICC is constantly pushing the boards, mainly the BCCI, to agree on cricket being a part of the Olympics. 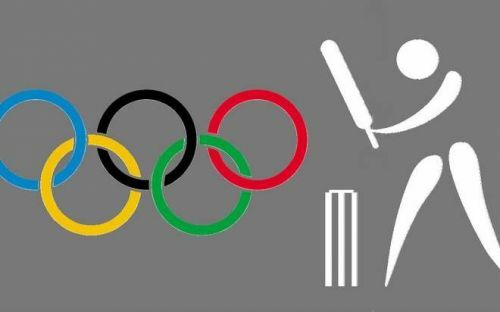 If the BCCI comes on board, cricket could possibly be included in the 2024 Olympics. But that's a big 'if'. Cricket has a huge fan base which is equivalent to that of any game in the world except for football. A total of 107 countries are playing cricket actively and entertaining the fans, and we can find a cricket fan in every corner of the world. Cricket has one of the most passionate groups of fans on earth, and if it is included in the Olympics, we could notice a huge positive spike in its global viewership. Tons of fans will watch their favourite team playing on the international platform, making the sport a hot property in even the associate nations.